A family favourite in our house we fell in love with the ogre named Shrek and it is hard to believe that it was 15 years ago when we first saw the movie. 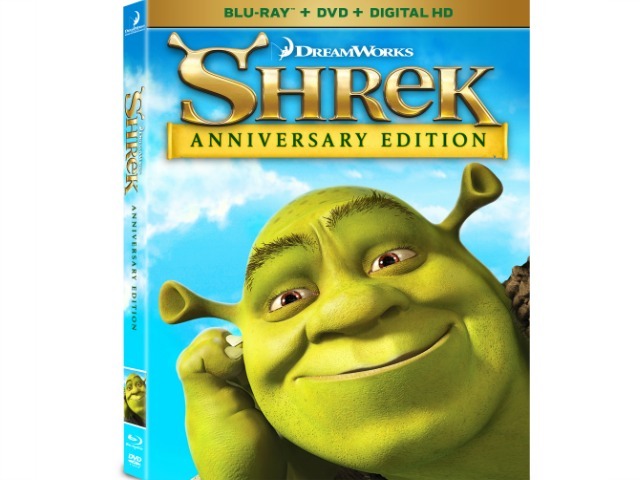 If you don't have your original copy of Shrek you can still get a copy because the Anniversary Edition has been released for you to enjoy all over again but this time on Blu-Ray and Digital HD and DVD. Enjoy the journey as Shrek tries to rescue Princess Fiona with the help of his loud-mouthed donkey. On BLU-RAY, DVD and Digital HD available NOW! You’ve never met a hero quite like SHREK, winner of the first Academy Award® for Best Animated Feature. The endearing ogre sparked a motion picture phenomenon and captured the world’s imagination with...the Greatest Fairy Tale Never Told! This irreverent animated masterpiece arrives on Digital HD on May 16, 2016 and Blu-ray™ and DVD on June 7 from Twentieth Century Fox Home Entertainment. Critics have called SHREK “not just a brilliant animated feature, but a superb film on any level” (Larry King, USA Today). Relive every moment of Shrek’s (Mike Myers) daring quest to rescue feisty Princess Fiona (Cameron Diaz), with the help of his lovable loudmouthed Donkey (Eddie Murphy), and win back the deed to his beloved swamp from scheming Lord Farquaad (John Lithgow). Enchantingly irreverent and “monstrously clever” (Leah Rozen, People Magazine), SHREK is an ogre-sized adventure you’ll want to see again and again.